Keith Wolf presented “Statistics: Cress Creek Naperville, IL – Case Study.” The objective for the day was to “understand what these tools do and how you can use them.” The premise raised: “Can an appraiser create value for their customers by supplementing a single value opinion with a confidence interval, or a range, or some measure of distribution around that value opinion that enhances the credit investor’s risk management?” Keith presented an overview of various statistical tools available, their pros and cons, and the advice to remember statistics are not absolute solutions. It is up to the individual appraiser to know how to use and apply them and understand when they don’t work. Lamar Ellis is based in Atlanta, GA. Lamar’s topic: “Drone Technology and its Impact on the Appraisal Industry.” Lamar’s breadth of knowledge is exceptional. What is a drone? Simply put, it is an unmanned aircraft which can be remote controlled. When was the first drone used? 1848, in the Austria Venice War. In 2013 more than 50 countries had drone technology. Attendees learned the history of the drone, the types of drones and their uses, the seven things to consider when purchasing a drone (ex: wingspan, gimbals), the rules and regulations of drone usage, and the United States drone license testing sites (6). Arguments favoring commercial use were presented along with the areas in which drones could be beneficial; such as, telecommunications, weather forecasting, maritime monitoring, transportation, and oil and gas exploration. Some of the potential use applications mentioned include shopping centers, drive by inspections, development sites, agriculture, photography and cinematography, archeology, fire-fighting, wind turbines, surveying and topographical analysis. A fair presentation; it included the “cons” of usage (ex: limited battery life, lost connection). Lamar’s interest in and passion for the topic is contagious. The afternoon sessions began with the first ever “breakout session.” Three industry vendors providing report writing products each held separate sessions: ACI, a la mode Win Total, and Narrative 1. Seminar participants were provided the freedom to choose which session to attend. The ACI session presented by George Opelka discussed the pre-internet days when comp books were manually produced by hand, and lead participants through the development of the personal computer evolution to today’s cloud and web based program. Users of ACI reports can look forward to the introduction of additional new and innovative features in the forthcoming months. Craig Capilla, Franklin Law Group began his “Legal and Insurance Updates” session with the statement: “There ought to be a law.” Craig provided background into industry complaints and what one should do if they get a demand letter. There was a 95% spike in claims between the years 2006 and 2012. More recently, each year, 1 in 35 residential appraisers will receive a demand letter. While demand letters are still occurring on the commercial side, it is at a much lower rate. Craig’s advice to all appraisers is to be sure to review their insurance annually. What does it cover? What doesn’t it cover? What is the cost? Briefly mentioned were several recent court cases involving confidentiality, bank liability for a faulty appraisal, and negligent misrepresentation. Craig brought to our attention a potential change in how the IDFPR would publish public disciplines. Consideration is being given to move towards the model Wisconsin uses. Currently, Illinois provides the name, license number and discipline such as: “Indefinite suspension for a minimum of two years based upon an appraisal at 12345 S. Main, Chicago.” In contrast the Wisconsin State Department of Safety & Professional Services Public Discipline includes five pages of everything that was done wrong. This provides an educational tool but is a double edged sword. It is in perpetuity. Closing ICAPs Lisle 2015 Illinois Appraisers Update Seminar was the “Legislative Update” session presented by T. J. McCarthy. 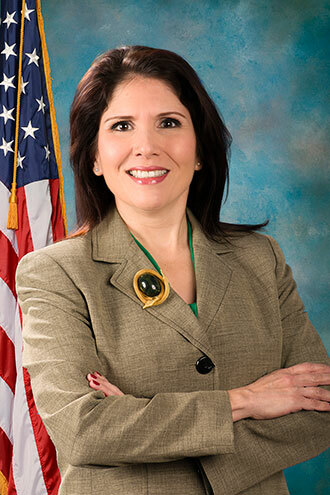 The new Illinois Administrative Rules became effective June 1, 2015. New rules were necessary to comply with AQBs 2015 requirements and IDFPR housekeeping issues. Some areas affected include the first 500 hours of experience, pre-requisite trainee education requirements, changes in and newly added Definitions, criminal background checks and potential fingerprinting fees, changes in temporary practice permits, experience hours and logs, new “home inspection” certification requirement, and Associate Trainee requirement that courses required must be completed within 5 years prior to initial application. A word of caution regarding the difference between reasonable exposure time versus marketing time was given. The signed certification page must include the appraisers’ title. The new effective date for the HUD Handbook 3/18/2015 is September 15, 2015. The state renews FHA licensure every Friday at Hud.gov. ICAPs emcee for the day was Randy Barcella, Real Estate Revealed. Randy’s show can be heard Sundays on Wealth Essentials Radio, AM560 the Answer. Thank you Randy for graciously hosting the day’s events. A special thank you to all the participants in the Vendor Showcase —ACI, a la Mode, ASA, Randy Barcella Real Estate Revealed, CCAI, Landy Insurance Company, MRED, NAIFA, Narrative 1, Accurity Valuation, and Shumaker Technology Group. ICAP and the vendors provided seminar attendees an opportunity to participate in drawings held throughout the day. The drawing winners went home with $50 gift coupons, Market Analysis for Real Estate and the Appraisal of Real Estate, 14th Edition hard copy books, gift certificates for free 7 hour CE classes, a promotion spot on Randy Barcello’s radio show, a kindle, and a drone. 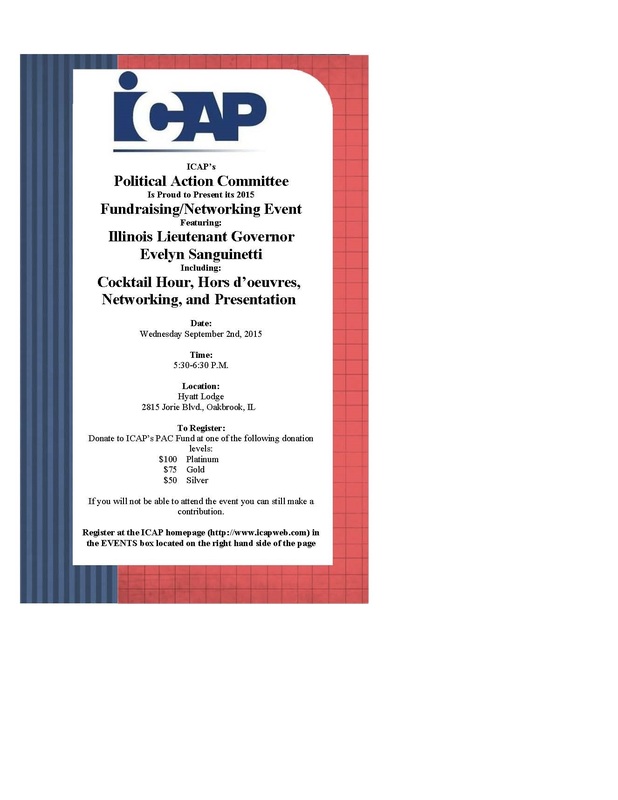 ICAP’s long time Lobbyist Andrew Raucci will be on the Real Estate Revealed radio show on Sunday morning sharing ICAP’s recent legislative accomplishments and the state of Illinois budget/government. Also on the show will be John Torvi, Vice President of Marketing & Sales at Herbert H. LANDY Insurance Agency, will let us in on what’s new in our Liability Insurance Industry! This Sunday, August 8th, 8:00 am on AM 560, radio or streaming live on line, go to: www.RealEstateRevealed.net Call in, live show: 312-642-5600! Don’t miss the best seminar of the year. If you haven’t registered yet, there is still time and you have a chance to win a drone will be given away after Lamar Houston’s presentation. You missed the online registration, so contact the ICAP office by phone and we’ll get you signed up. (312) 616-9403. As in past years, we will be accepting walk-ins, but we would prefer if you would register by the end of the week so we can have enough handouts for all in attendance. This seminar is NOT acceptable for USPAP credit. We enforce the 100% attendance requirements as mandated by the State of Illinois & the AQB. This program was developed by ICAP and ICAP is solely responsible for its content. Lunch is included. Register Today – Space is limited. Again, you missed the online registration, so contact the ICAP office by phone and we’ll get you signed up. (312) 616-9403.